"Beauty and the Beast 3D"
"Beauty and the Beast (3D)" is phase 2 in Disney's re-issue cash bonanza. It tells the timeless tale of a beautiful young woman who transforms a savage monster back into a dashing prince with the power of love (all apologies to Huey Lewis and the News). The animation is of the lush, hand-drawn variety for which Disney is famous, though the 3D is a mild disappointment. It doesn’t look bad, as converting 2D animation to 3D is a fairly simple affair that lacks the pitfalls of converting 2D live action. It's just that the film wasn't drawn with 3D in mind, so the technology feels a bit wasted. The film still looks great, just don’t go in expecting a transformative experience that will make you forget all about the first time you saw "Beauty and the Beast." Disney has come under fire over the years for their shabby treatment of female characters, a topic that heated up anew in 2009 when Jeff Bruner put together a Disney princesses deconstruction, which attempted to show that Mouse House classics have propagated a troglodytic attitude toward women. But watching "Beauty and the Beast," Brunner's blanket condemnation is clearly unfair. Brunner claims that the film's heroine, Belle, "Saves a prince's life. With her only asset, her sexuality." Um, no. 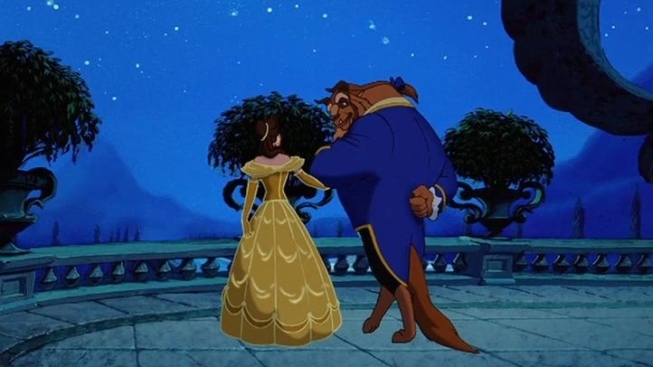 Belle is a learned and worldly woman who refuses the proposal of the most handsome man in town because she wants more than a provincial life, and save the Beast's life by re-civilizing him and teaching him that if you love someone, you don't hold them hostage in a tower. This is not to say that many of Disney's films aren't a feminist's nightmare, but as gender politics go, "Beauty and the Beast" paints a far bleaker portrait of men, with Gaston the preening stud who thinks he can just bully Belle into marrying him; the Beast, a once-handsome prince who loses his looks because he is hopelessly vain and superficial; and a cast of secondary males who are bumbling fools or hapless lackeys. What's far more interesting from a socio-political sense are scenes like watching a bullet pierce the chest of a duck—an image that would never make it to the screen today—or the high volume of beer that is lustily consumed. And when Mrs. Potts and the rest of the staff start singing the film's classic song, "Be Our Guest," it's hard (for some of us, anyway) not to break out laughing at the thought of Montgomery Burns singing "See My Vest."